"Jonah has been dealing with epilepsy for three years now," says Susan Sanders, mother of 8-year-old Jonah Sanders. "He wasn't getting seizure control with any of the meds he was on; he was still having an average of one-to-three seizures per week." 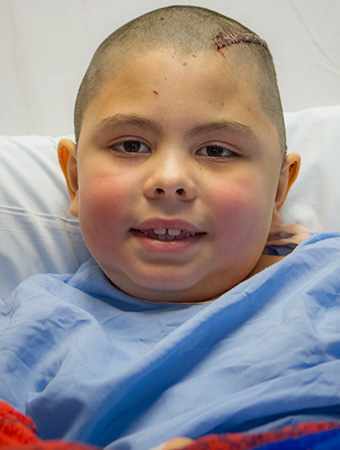 Jonah underwent a seven-hour surgery where doctors removed a small part of the brain tissue that they believed to be the source of the seizures. "Everyone's been impressed with how well he's been healing. So far there haven’t been any seizures, and the doctors say the longer we go out from surgery with no seizures the better things look," says Chris Sanders, Jonah's father. 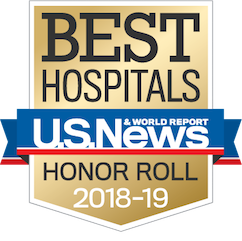 The Sanders family originally came to Ronald Reagan UCLA Medical Center for a second opinion but was so impressed with the surgeons’ knowledge and helpfulness of the staff they decided to seek treatment with UCLAHealth. Susan continues, "No one ever wants to be in a hospital, but the [Ronald Reagan UCLA Medical Center] is as good as it can be."